This book leads you through all the features and functions of this dynamic software. Live's audience is a growing and loyal group of enthusiasts who have embraced this unique and powerful product through its several revisions. This version of Live offers a mix of features that will excite and extend its user base. Going well beyond the manual, Ableton Live 4 Power! provides complete how-to information and extra tips, tricks, and user profiles that will be of great benefit to eager users of Live. 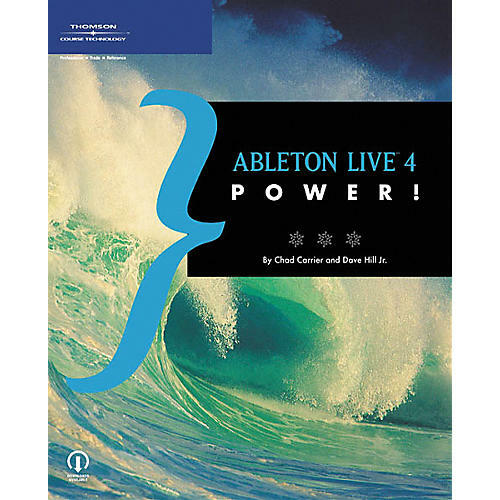 Written by Ableton's PR and Artist Relations Manager, Dave Hill Jr., and M-Audio (U.S. distributor of Live) Technical Marketer, Chad Carrier, this book offers incomparable expertise as both authors know the ins and outs of this software and have been using Live since its inception. 391 pages.